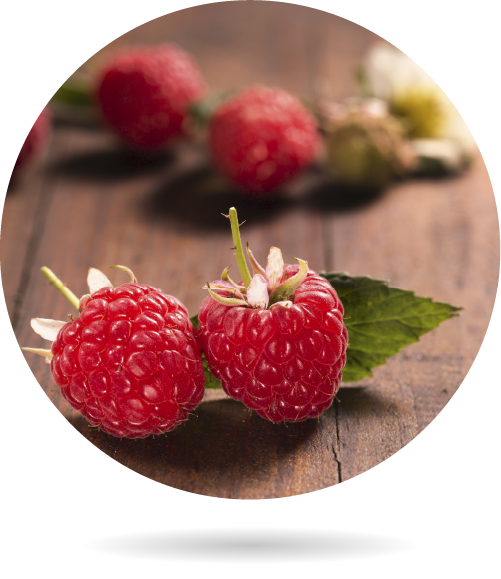 Our Organic Raspberries are sweet and at the same time slightly acid, soft with velvet like skin and appealing colour. They combine all of the elements needed to become an irresistible snack. Whether fresh, dried or in puree, they have lately become an indispensable ingredient in cakes, smoothies, jams, yogurts, dairy products, biscuits, muesli, and uncountable pastry recipes. They are very healthy thanks to their vast list of nutrients such as C vitamin , B1, B2, B3, B6, E, K Vitamin, Citric acid, flavonoids, Calcium, Potassium, Iron and Magnesium. Like most berries, they are rich in antioxidants and other essential nutrients such as beta-carotene that slows down the aging of our cells. In addition, its caloric contribution is practically none given that it provides 39 kcal / 100g, which has granted them great popularity and an increase its consumption during the last years. Raspberry crops perform better on rather clayey soils, they are rich in organic matter, and relatively free of active calcium, being its ideal pH around 6.5. They need full light to be able to develop their productive potential, our region meets this need just perfect, and we must take into account that both the canes and the fruit can be damaged by the wind, so they should be well protected. At Bionest every drop of water counts, that is why our irrigation equipment maximizes and optimizes the use of this precious resource, being thoughtful about overexploiting the fresh water existing in the aquifers, rivers or reservoirs of the area. In the case of raspberries, actually they do not require huge amounts of water, only 750 mm / year, but they do need water on a regular basis, that is, well distributed over time without much space between waterings. At Bionest we are constantly researching and testing new varieties looking for those that are stronger and allow us to travel further in the best conditions of durability for our consumers. Raspberries are particularly wild-like plants which perform better in a mild or fresh climate. 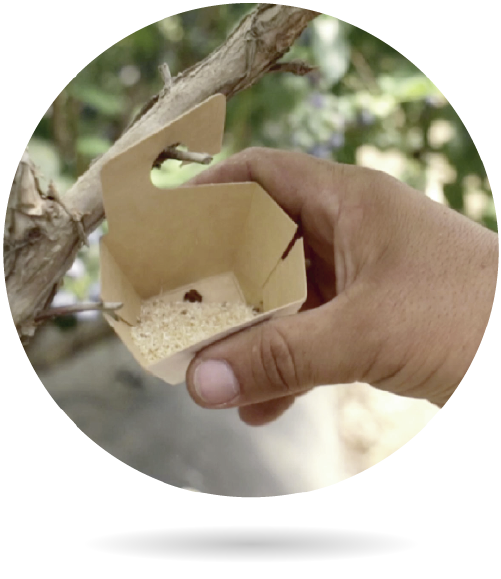 In our orchards in Huelva they acquire an aspect similar to that of a tomato plant due to the specific pruning that we carry out and to the use of tutors or guides that hold them upright and accessible for their collection. Among the sustainable agricultural techniques that we use is the use of fertilizers elaborated in an organic way to maintain soil fertility, as well as the promotion of natural predators (auxiliary fauna) to fight against insects and pests. Red spider (tetranuchus urticae), we use the predator phytoseiullus persimilis to keep it under control. Aphids, mainly Aphis gossypii, macrosiphum euphorbiae. Caterpillars of lepidoptera of the spodoptera species. Plusides and heliothis, Bacillus thuringiensis is used to keep them under control. Trips (frankiniella occdidentalis), at specific moments in spring. Diseases include Roya (pucciniastrum americanum), powdery mildew (Sphaeroteca macularis), Botrytis (Botrytis cinerea). For its control, cultural measures and plant extracts are used to prevention and control. Raspberries are one of the most delicate berries so they must be collected at the right stage of maturity, otherwise they may fall or become too ripe in a matter of days. Within our quality processes, we include an exhaustive control and monitoring of maturity stages in our crops. 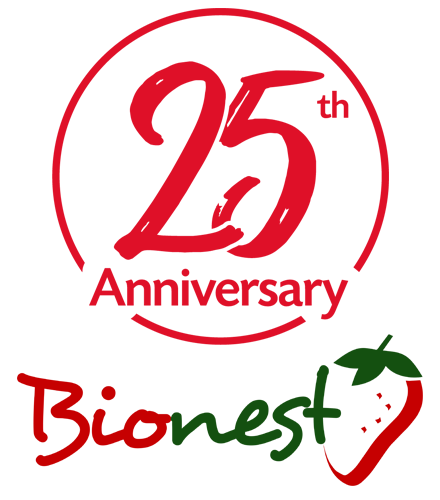 Our main goal is to make all of the products under the Bionest brand comply with the most advanced techniques of organic farming, having the best possible flavor and the best shelf life. At Bionest most departments have their own lines of development and innovation, but it is in the farms where the research becomes apparent at first glance, since experimental terraces are maintained parallel to those of production, testing innumerable combinations of fertilizers, varieties, different soil compositions, etc. But it is not only in the field where the vocation for progress and improvement within Bionest’s DNA takes form. The constant improvements in conservation techniques, storage, management, processing and packaging led the company to get completely reform since its foundation in 1992. 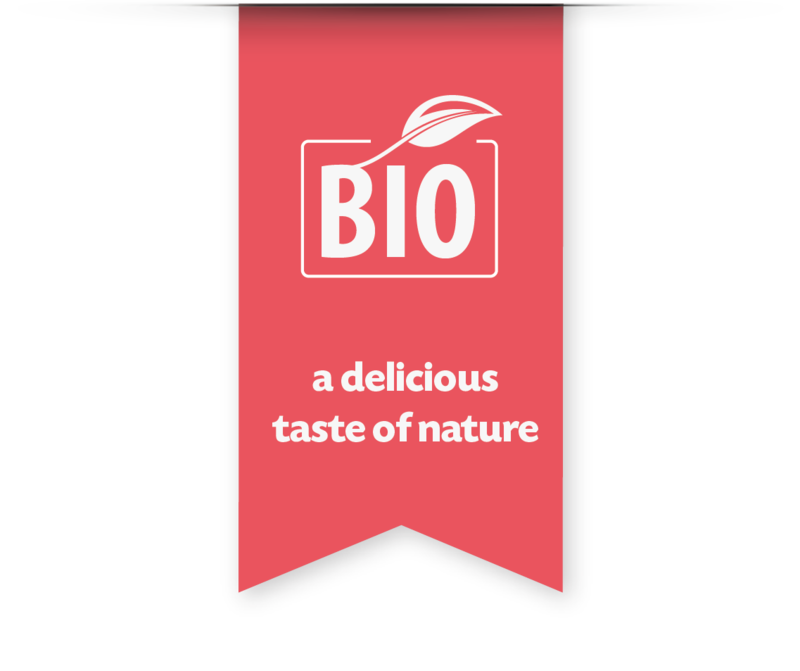 Bionest promotes the improvement of its products and services, for which we invest on the study of new varieties that allow us to offer our products at any time of the year. 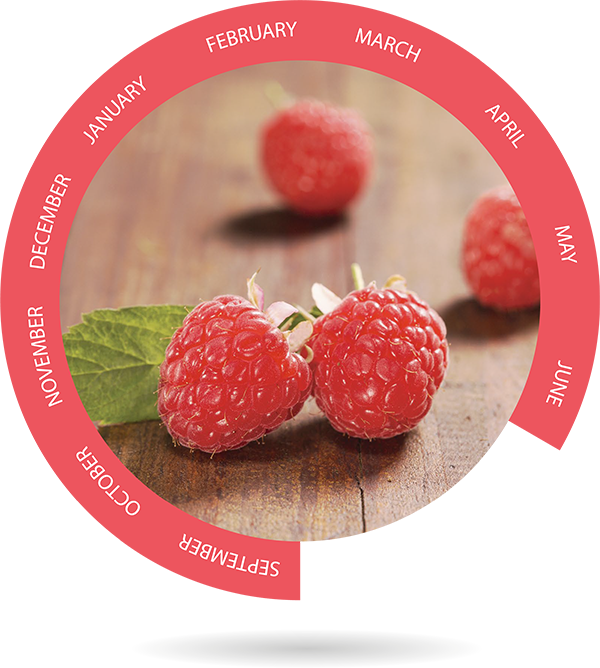 Raspberries are available most of the year except the hottest summer months in Huelva: July and August. We use the most modern techniques to maintain quality throughout the storage and packaging chain, such as the application of ozone atmosphere in our cold chambers, which purpose is to disinfect and keep bacteria from developing and affecting the fruit. We also use plastic with micro-perforated film so that the fruit stays at its right point of maturity once it is placed inside the final container. This kind of controlled atmosphere, in which the oxygen level is ideal for the maintenance of the fruit, allowing our consumer all around Europe to enjoy the product in optimal conditions. We are the biggest Spanish exporters of organic berries, serving countries as diverse as Germany, United Kingdom, France or Sweden, so we are constantly in search of the most modern packaging that allows optimal transport maximizing durability, preserving both apparience and nutritional properties of our raspberries, blackberries, strawberries or blueberries.